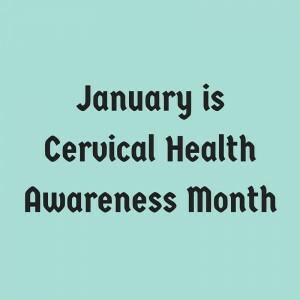 January is designated by the United States Congress as Cervical Health Awareness Month. This is the appropriate time to show your support on the campaign for a healthy cervical cancer. Cancer of the cervix was once considered as one of the usual causes of cancer death in American women. For the past decades, however, death rate caused by cervical cancer has dramatically gone down by more than 50 percent. One of the reasons for this astonishing change was the increase of those who were encouraged to use screening tests. Screening, which is more commonly known as PAP test, will help detect any changes or abnormalities in the cells, if there is, in the neck of the womb (cervix) before the cell becomes a cancerous cell. 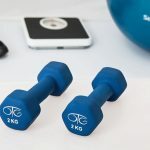 Undergoing a screening test, as well as follow-up care, can also limit the damaging effect of the damaging effects of cancer and, possibly cure the condition while it is still in its most curable stage. 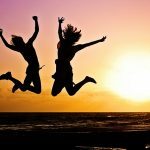 Another reason for this astonishing decrease in death rates caused by cervical cancer is the increasing number of women who get vaccinated against human papilloma virus (HPV). HPV is reported to be the most common cause of cervical cancer. According to the National Cervical Cancer Coalition, around 79 million Americans have HPV. What is even more alarming is that many do not know that they do have HPV. There are so much to be done. Even with the intervention and possible cure available at the moment, still experts say that in the United States alone around 12,000 women are diagnosed of cervical cancer every year. Cervical cancer can isolate anyone. It is a health condition that any woman would not want to have, yet most are not aware that they do have. So many people rely on people like you who will take on the responsibility of sharing this gem of knowledge. As we celebrate the Cervical Health Awareness Month during the month of January, we encourage you to be a part of the change. Make a difference in the lives of others. Encourage women to get their well woman exam this year. The well woman exam allows every woman who undergo this medical exam to have medical experts review elements of their reproductive health. It is recommended that women from age 20-69 undergo a well-woman exam once a year for most women. The exam involves a breast examination, a pelvic examination as well as a pap smear. Depending on your health practitioner, the exam may also include other procedures. Let women know that the health care reform law covers well-woman visits and cervical cancer screening. This means that, depending on their insurance, women can get these services at no cost to them. Talk to parents within your neighbourhood or school on the significance of having pre-teens to get the HPV vaccine. Boys and girls both need the vaccine. Let the word out. Use every social and other media platforms to let others know about the Cervical Health Awareness Month—tweet about, share it on Facebook, Pinterest, Google+, and wherever there others can make the news viral. Gather information about cervical cancer. Educate people on the health risks of cervical cancer. Sharing is loving. Show your concern for those who need it most.